For 2016, Easton has brought the most expansive line of power and performance to the market with the all-new Power Brigade Series! TCT Thermo Composite Technology is the key to the MAKO's industry-leading swing speed, massive sweet spot, and pure feel on contact. This innovative material comprises both the barrel and handle which are united by Easton's patented 2-PC ConneXion Technology. By isolating the handle from the barrel with the connection joint, energy transfer is maximized while simultaneously eliminating any unwanted vibration. The MAKO's foundation is then optimized with a lower MOI for the best combination of barrel and bat speed on the market. The MAKO features a 2 3/4" barrel diameter, -10 length to weight ratio, new HYPERSKIN Performance Grip, and the USSSA BPF 1.15 Certification. Amplify Your Power and pick up the Easton MAKO Senior League Baseball Bat: SL16MK10B today at JustBats.com. The shipping is always free, and we're always here for you - from ClickToHit! Cons: Average bat with a big price. Cons: Bat does not provide explosive hits. My son hits for power and this bat was not effective for a power hitter. We went back to using the S3 series. Pros: Great pop, great feel, very little vibration, too early to grade the durability. Cons: Bad grip as good as this bat is, I wished they would went to a cheap grip compare to the last two power brigade bats I've bought. Pros: Large sweet spot! Son loves it! Pros: Very balanced for increased bat speed but still looking for the huge sweet spot everyone raves about. Thru 3 tourneys and still not performing like i had expected. Cons: Doesn't have the pop I expected....switched from an XL1 to the Mako and am not impressed at all actually very disappointed. Easton went cheap with the grip, it cracks easily. Seems like the 2 1/4 barrel makos have way more pop. The huge price tag doesn't hold up when the bat doesn't play like its supposed to. Cons: does not have near the pop of the older orange makos. I spent 300.00 plus dollars my son no longer uses it. He uses his old 2015 mako and the team demarini c7. My son's friend is returning his 2016 mako same reason "no pop"
Cons: None. I hope it's as durable as his last one. Pros: Feels solid, no vibration. Cons: The grip seems to feel a little loose under a tight grip. Just seems like it is moving. Pros: great pop. I love the new grip tape. The bat is pretty durable. Cons: When I was hitting I felt lots of viberation. When I droped the bat from on foot on bleachers the paint chipped very easly . Pros: Lots of pop. My son is getting solid hits with this bat. 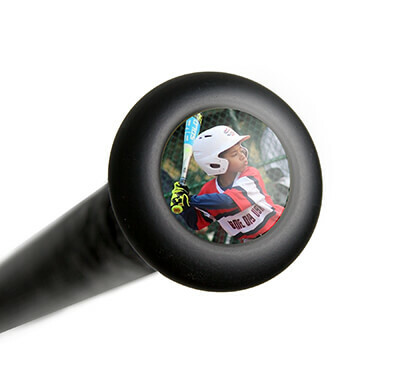 Pros: Amazing bat for all kids. Easton is such a great company to make these awesome bat for all kids to use. But I think there should be a better grip. Maybe have Lizard Skin on the bat. Pros: my 7 year old's confidence is through the roof. No vibration so he's not afraid to attack and swing hard. Pros: I purchased this Bat for my son that plays travel ball and he loves the bat and the 27" with -10 drop was perfect for him. It has a different sound when compared to his older bat and the price was far better than other sites. Thanks Just Bats for a great product and very fast shipping. Pros: First off great bat. As a player starting their 12u season, this was a great buy. The 2 3/4 barrel adds for easy contact. The TCT Thermo composite in this bat is insane. As a power hitter, this thing can produce major distance. Whether you're a power-hitter, or someone who needs a little confidence at the plate, I would definitely check this bat out. Cons: However, this bat does come with some downs. The bat is a little more heavy than described. It feels more like a -8.5 or -9. Anyways it's a good buy. Pros: Large barrel, lots of pop, light weight, skinny handle. 50% of the kids started using this bat on my Select 12U team. They all love it! Good performer so far. Pros: When I unrated this bat I sad wow! This bat looks great and peforms great. I love this bat and it is just a great bat all around. Cons: This bats grip is terrible I got new grip for it 4 days after I bought it. Pros: Huge sweet spot. if tou cant hit with this bat.......you cant hit. Cons: No bad reports to speak of with this bat. Cons: we went from a 29 inch -13 to this 30 inch -10 and I will say the weight difference took some getting used to. Pros: A lot of pop. used this bat for 2 years and am buying a new one. Good price for a great bat. Cons: composite bat. might shatter. Have a question about the Easton MAKO Senior League Baseball Bat: SL16MK10B? Ask our team of experts and they will respond within 24 hours. Does this bat have the rotating handle? The 2016 Easton MAKO Senior League Baseball Bat (SL16MK10B) does not have the TORQ handle. The 2016 Easton MAKO TORQ Senior League Baseball Bat (SL16MKT10B) would be the model that does but it is not currently available for pre-sale. Is there anything different from this one and the 2014 model. My player just turned 12. He is about 105 pounds. What size would you recommend? The 2016 Easton MAKO Senior League Baseball Bat (SL16MK10B) is very similar in construction to the previous models of the bat. The grip has been slightly changed and it has different graphics. The size we would recommend would be based on a combination of both height and weight rather than one or the other. If you can provide his height we would be better able to size him. Why does the MAKO come in 2 5/8 & 2 3/4? Does one have more pop than the other? My son has always used the S3 with good results. Would the MAKO provide more pop once broken-in? "Pop" is more of a term that is associated with the skill of the player rather than a measurable feature of the bat. Due to performance restrictions imposed for safety reasons, most bats within the same certification category will perform to the same level at their peak. The difference, and what you end up paying for, is the feel of the bat (balanced vs. end-loaded, one-piece vs two-piece, barrel size, etc.) and the durability of the bat (how long the bat will perform at that peak level). Which one is best would depend on what you are looking for in those aspects compared to the price range you are looking to stay in. That being said, the 2016 Easton MAKO Senior League Baseball Bat (SL16MK10B) has a 2 3/4 inch barrel diameter because some leagues allow that size while others only allow up to a 2 5/8 inch barrel like the 2016 Easton MAKO Senior League Baseball Bat (SL16MK10). They should perform similarly as they are both USSSA regulated but you get more room for error with the 2 3/4 inch barrel diameter and may be able to barrel up the ball more easily. How long does it take to break in the new bat? We recommend around a 150 swings off the tee or soft toss. Make sure your rotate the barrel of the bat a quarter of an inch every 15-20 swings. My son is 13 years old. He weighs between 85-95 pounds and he is 4 foot 11. What length and weight bat do you recommend? Based on height and weight, we would recommend a 30 inch bat. At his age we would typically not recommend a 2 3/4 inch barrel diameter like what is featured on the 2016 Easton MAKO Senior League Baseball Bat (SL16MK10B). We would recommend something with a 2 5/8 inch diameter and possibly a -10 or -8 depending on how strong the player is. What are the main differences between the Easton MAKO and DeMarini's new bat? Is one more end-loaded? It would depend on which DeMarini model you are referring to as they have several different models of bats in the 2016 line. The 2016 Easton MAKO Senior League Baseball Bat (SL16MK10B) compares most closely with the 2016 DeMarini CF8 Senior League Baseball Bat (DXCFZ). They are very similar by design. The CF8 may have a bit better balance while the MAKO has a bigger sweet spot due to the extended barrel length. My son is 11, 5'3", 150 lbs. What bat size would you recommend for the MAKO? Based on your son's height/weight, I would suggest getting the 2016 Easton MAKO Senior League Baseball Bat (SL16MK10B) in a 31" 21 oz. What is the difference between this bat and the S1? There are quite a few differences between the 2016 Easton MAKO Senior League Baseball Bat: SL16MK10B and the 2015 Easton S1 Senior League Baseball Bat: SL15S110. The S1 is going to have an IMX advanced composite barrel which is said to give ultra-responsive hitting surface that lowers swing weight while the MAKO features the TCT Thermo Composite Technology which is said to create a massive sweet pot and unmatched bat speed. Additionally, the 2016 MAKO comes with HYPERSKIN Grip while the 2015 S1 does not. The 2016 Easton MAKO Senior League Baseball Bat (SL16MK10B) and the 2016 COMBAT MAXUM -10 Senior League Baseball Bat are both full composite bats. The Easton MAKO is a two-piece, balanced designed composite and will feature better vibration technology to help reduce stinging sensation from off-centered hits. Being that it is a two-piece design, it will offer more flex which is typically preferred by contact hitters. The COMBAT MAXUM is a one-piece design that will allow for a stiffer feeling (preferred by power hitters) but won't have the same anti-vibration technology. Both bats would be great options that offer massive sweet spots. My son is 12, 5'2" and weighs 124 lbs. What size bat would you recommend? Based on his height and weight, we suggest a 31" model in the 2016 Easton MAKO Senior League Baseball Bat: SL16MK10B. My son is 11, 48 inches tall and weighs around 70 lbs. I just purchased a big barrel senior 29/19 for him. Is this a good bat size or would a 30 be better? Based on your son's height and weight, I think the 29" 19 oz. model is the ideal size for him. I am 140 lbs and 5'3". What length do you recommend for me? Based on your height and weight, we suggest a 31" model in the 2016 Easton MAKO Senior League Baseball Bat: SL16MK10B. I am 5'3" and 95 pounds. What bat size and weight should I get? Based on your height and weight, we would recommend getting the 2016 Easton MAKO Senior League Baseball Bat: SL16MK10B in a 31 inch 20 ounce model. Is this bat Dixie youth baseball certified? The 2016 Easton MAKO Senior League Baseball Bat: SL16MK10B is not Dixie League approved as it has a 2 3/4" barrel diameter; 2 ¾' barrel bats are NOT allowed at any level. Is this bat legal to use in Junior Little League? No, the 2016 Easton MAKO Senior League Baseball Bat: SL16MK10B is not approved for play in the Junior division of Little League. It is not BBCOR certified and it features a 2 3/4" barrel diameter. All composite bats need to be BBCOR certified and the barrel diameter cannot exceed 2 5/8" in the Junior League. My son is 4'5" and 62 lbs. He currently has a 29"/19 oz. Should we stick with the same size at 12U? Based upon your player's height and weight, I would make a general recommendation of getting this 2016 Easton MAKO Senior League Baseball Bat (SL16MK10B) in the 29" size. However, if you want something that he can grow into with time, I would recommend looking to the 30" model of the bat as long as he can handle the 20 oz weight. What is the difference between the 2016 Easton MAKO Senior League Baseball Bat (SL16MK10B) and the 2017 Easton MAKO BEAST Senior League Baseball Bat (SL17MK10B)? The 2017 Easton MAKO BEAST Senior League Baseball Bat (SL17MK10B) has a barrel that is approximately 1.5" longer than the 2016 Easton MAKO Senior League Baseball Bat (SL16MK10B). My son is 5 ft and weighs about 90 lbs. He will be 12. What size bat should he use? What weight? Also, what is the difference between the senior and junior MAKO bats? We would recommend using a 30" 20 ounce 2016 Easton MAKO Senior League Baseball Bat (SL16MK10B). The difference between Senior League Bats and Junior Big Barrels are that Senior League bats are designed for kid pitch and Junior Big Barrel bats are designed for coach pitch. What drop is it like a drop 5 (-5)? The 2016 Easton MAKO Senior League Baseball Bat: SL16MK10B is a drop 10. My son is 5 ft. 6", 136 pounds, and is 12 years old. What would you recommend the bat to be? Based on your son's height and weight we would recommend a 32"/22oz 2016 Easton MAKO Senior League Baseball Bat (SL16MK10B). My son just turned 10. He is almost 5' and he weighs about 92 pounds. Which bat size would you recommend? Based upon your player's height and weight, I would make a general recommendation of getting this 2016 Easton MAKO Senior League Baseball Bat (SL16MK10B) in the 30" length as long as he can handle the subsequent 20 oz weight. My son is 5 ft., 90 pounds and will be 11 years old on March 31st. What size bat should my son use? USSSA 11 years old division moving up 12 fall. Based on your son's height and weight we would recommend getting the 2016 Easton MAKO Senior League Baseball Bat: SL16MK10B in a 30 inch model. My son is 12 years old. He weighs about 110 pounds, and is about 5'3". What bat length and weight would you recommend? Based on your son's height and weight, we would recommend getting the 2016 Easton MAKO Senior League Baseball Bat: SL16MK10B in a 31 inch model. My boy is 4' 8" tall and 9 years old. What size bat should be be using? I'm not sure without knowing his weight, but I believe most kids about his age and height use anywhere from 28"-30" size bats. My son is 12 years old 4'8" and 94 lbs. I'm looking for a bat that he can use this and next year in the park league. The 2016 Easton MAKO Senior League Baseball Bat: SL16MK10B is probably going to be to small of a bat for your player. If your player is allowed to swing a big barrel bat, I would suggest a 2 5/8" barrel for a player of his age. I would look at a 30" bat based on his size, and if he can, moving to a -8, but a -10 would also work if you wanted to stay on the lighter side. Here are a couple bats for you to take a look at: 2017 Easton S3 Senior League Baseball Bat: SL17S310 or the 2016 Easton MAKO XL Senior League Baseball Bat: SL16MK8. Will this bat be legal for Babe Ruth league? Is it BBCOR certified? I just don't want to buy an illegal bat. Unfortunately, the 2016 Easton MAKO Senior League Baseball Bat: SL16MK10B is not approved for play in Babe Ruth. It is not BBCOR certified either. The combination of the 2 3/4" barrel and not being BBCOR certified make it illegal for play in Babe Ruth. My son is 5'2" and weighs about 95 and is 12. What size bat? What is the difference between 2016 Easton MAKO and the Easton MAKO senior league baseball bat white and orange color? Based on your son's height and weight, we would recommend getting a 31 inch model in a 2 5/8" barrel and 21 ounces. The 2016 Easton MAKO Senior League Baseball Bat: SL16MK10B features a 2 3/4" barrel and is better suited for players from the ages of 7-11. As for the difference in the two models, the composite material and connection technology stayed the same; the only things that changed were the cosmetics and grip tape. What is the difference between a SL16MK10B and SL16MK10? The 2016 Easton MAKO Senior League Baseball Bat: SL16MK10B features a 2 3/4" barrel diameter. The SL16MK10 features a 2 5/8" barrel diameter. Otherwise, the two bats are the same. My son is about 5 feet and 100 pounds. What length bat do you recommend? Based on your sons height and weight we would recommend a 31"/21 ounce 2016 Easton MAKO Senior League Baseball Bat (SL16MK10B). Is this bat eligible in USSSA tournaments? The 2016 Easton MAKO Senior League Baseball Bat: SL16MK10B features the 1.15 BPF USSSA certification stamp and it should be legal for play in USSSA tournaments. It is always best to ask a coach or tournament officials beforehand though. Is this bat legal for 13-15 year old? Or the leagues known as Babe Ruth or Junior League? The 2016 Easton MAKO Senior League Baseball Bat: SL16MK10B is not legal for use in Babe Ruth or Junior League as this bat has a 2 3/4" barrel diameter (only 2 5/8" are allowed) and the bat does not feature BBCOR certification (if using a composite barrel bat like an Easton MAKO it must be a BBCOR bat - these bats have a -3 length to weight ratio). Does Easton make 28" SL16MK10B? Yes, Easton did produce the 2016 MAKO Senior League Baseball Bat (SL16MK10B) in a 28". Unfortunately, we are currently (5/16/2017) are out of stock on the 28". My son is 5'6" tall and weighs 105 pounds. What bat size do you recommend? We would recommend a 31" length of bat for his size. My son is just turning 8 yrs old. He is 46" and 42 lbs. What size of bat would you recommend? This 2016 Easton MAKO Senior League Baseball Bat (SL16MK10B) would actually be an excellent option of bat to get a player as long as the parameters of the bat meet the league requirements and you are able to get the right size for the player. I might recommend looking to the 27"/17 oz size of this bat if the weight is able to be handled by your player. How does this bat compare to the Louisville Omaha 517 bat? The 2016 Easton MAKO Senior League Baseball Bat: SL16MK10B and the LS Omaha 517 bat are both very good bats but they are completely different. The 2016 Easton MAKO Senior League Baseball Bat: SL16MK10B is a two-piece fully composite bat with a balanced swing weight while the LS Omaha 517 is a one-piece fully balanced alloy bat. The MAKO will run a little heavier but is better equipped at reducing vibration from off-centered hits. My son is 5'3" and weighs 135 lbs. What bat size would you recommend? My son is about to turn 12. What size bat should I get him? For most 12 year old players we are suggesting a bat with a 30" length to it. This 2016 Easton MAKO Senior League Baseball Bat (SL16MK10B) is unfortunately not being offered in the 30"/20 oz size. As well, this bat features the -10 length-to-weight ratio and 2 3/4" barrel diameter. Bats this lite with the large 2 3/4" barrel typically do not hold up well in regard to durability. I would recommend looking to a bat with a 2 5/8" barrel diameter and -8 length-to-weight ratio for a 12 year old player. Probably a 30"/22 oz size is the one to try and find. Will you be able to use this bat in 2018 for travel ball? The 2016 Easton MAKO Senior League Baseball Bat: SL16MK10B will still be legal for USSSA travel ball. I have an 11 year old and looking for a big barrel. What size would you recommend for this bat? For most 11 year old players, we are suggesting bats in the 30" length. I might recommend this 2016 Easton MAKO Senior League Baseball Bat (SL16MK10B) in the 30"/20 oz size. As well, this bat has the USSSA certification and largest 2 3/4" barrel diameter size to it. The 2016 Easton MAKO Senior League Baseball Bat: SL16MK10B is a fully composite bat. Is that bat good for 11U? If 2 3/4" barrel bats are legal for your league or tournaments, the 2016 Easton MAKO Senior League Baseball Bat: SL16MK10B would be a great option for that age. My grandson is 9yrs old 4ft 7in and 75-80lb. He's playing in his first year of travel ball. Based off the specifications you have provided, I would recommend the Easton MAKO Senior League Baseball Bat: SL16MK10B in a 29 inch bat length. Is the 30" a 2 5/8" or 2 3/4"? I am trying to find a 30" 2 5/8" but want to confirm. The Easton MAKO Senior League Baseball Bat: SL16MK10B is a 2 3/4" barrel version. 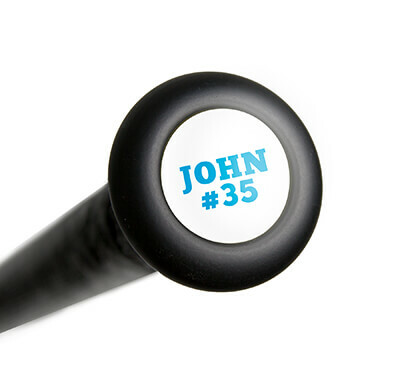 We unfortunately, do not have the 2 5/8" barrel version of this bat available anymore. Being that this is a close out bat do we still get the one year warranty through Easton? Yes, the one year warranty still applies to these models even though they are a closeout. This is the 2 piece composite Easton bat like the -12 Easton 2 piece but in a senior league bat correct? My son has the 2 1/4 version but has white on the handle and this one is black. The only black one I've seen is the alloy barrel; I do not want the alloy barrel. The Easton MAKO Senior League Baseball Bat: SL16MK10B is a two-piece composite model featuring a 2 3/4" barrel diameter. Easton did make a MAKO featuring a two-piece composite design in a -12 model but these bats featured a 2 1/4" barrel diameter. The senior league version of the MAKO in the -12 with the 2 3/4" barrel diameter was the 2017 Easton MAKO BEAST HYPERLITE -12 Senior League Baseball Bat: SL17MK12B; this bat was a one-piece all composite. Is this a "USA baseball" approved bat? If not, which bats do you have that do have the USA Baseball stamp of approval? The Easton MAKO Senior League Baseball Bat: SL16MK10B is approved for USSSA play, but does not meet the USA baseball qualifications. The most similarly available bat to this Easton MAKO available will be the 2018 Easton Ghost X -10 USA Baseball Bat: YBB18GX10. The Ghost X is a two-piece fully composite with a balanced swing, available in a drop 10. With that being said, the new qualifications will ensure that the performance of these new USA bats will be substantially lower than all of the bats in the past. Rawlings Velo Hybrid 2017 or Easton Mako? Which would be 30' w/ 2 3/4 barrel? Both the Easton MAKO Senior League Baseball Bat: SL16MK10B and the 2017 Rawlings VELO Senior League Baseball Bat: SL7V34 will feature a 2 3/4 barrel diameter. We have both of these bats available in a 30" 20oz option. My son is 9 and is 4"7" tall and weighs 80 lbs. Which bat do you recommend? We would probably recommend a 29" length for his height and weight. This Easton Mako Senior League (SL16MK10B) would be a good option if you mostly play USSSA travel tournament baseball. It would not be legal if you play in a league that requires the new USA Baseball bat certification though.